Artists are again able to open their studios/ venues for up to 11 days. You do not have to open for all the 11 days, the choice is yours. You just indicate on the form which days you will be open. The event this year will be Islandwide over the 11 days. This includes two weekends. Artists also have the option to open in more than one location over the course of the 11 days. Each location will need an entry with appropriate fee. The only restriction is you cannot open in more than one venue at the same time, because you should be at your venue to meet artists. Isle of Wight Arts is the organisation that operates this website (www.isleofwightarts.com) and runs the July Open Studios. If you would like to take part in any Open Studios event or be listed on the website, you first need to be a member of Isle of Wight Arts. Membership lasts for 1 year. Membership and therefore taking part in Open Studios is for Island resident artists only. 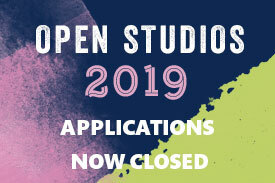 Open Studios is an opportunity for artists to open their homes, studios, exhibit as individuals in galleries or public venues and welcome the public free of charge to come and see their work, understand the processes and inspirations behind what they create and provide the public with an opportunity to buy direct from the artist. Open Studios allows artists the opportunity to manage their own event. You can take part on your own or you can join together and take part as a venue group. A group in this case is defined as a collection of indivdual artists in one shared venue. Therefore each artist within that group pays the same fees for the event as solo artists to ensure it is fair for all those taking part. They must all be a member of Isle of Wight Arts. Named groups, such as bone fide Art Societies, wishing to take part will be discretionary, the decision will be made by Isle of Wight Arts. Please email you details to isleofwightarts.com. THERE IS NO PROVISION FOR GROUP MEMBERSHIP. The Main Open Studios event will happen in July for eleven days, to include two weekends. The July Open Studios are across the Island over these eleven days, with differing opening days/times. 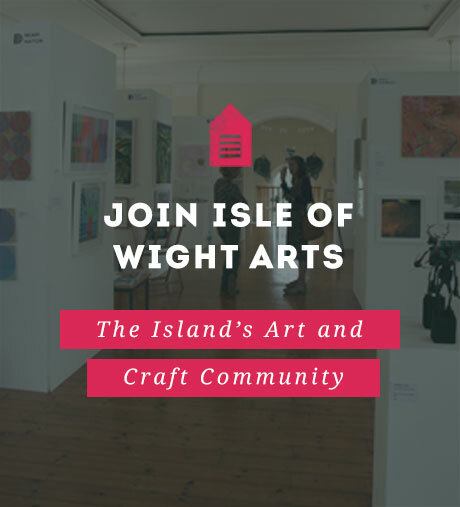 I'm already a member of Isle of Wight Arts, how do I register for an event? Please log in to your account using your username and password (click on members area at the top of the website), from there you will be able to renew your membership if expired and register for any events which may be running. If you already know your login details then you can click here. If you have forgotten your login details click here. Alternatively, please get in touch if you are unsure. Existing members: Once you are logged into your account, firstly, select the "Yearly Membership" option if it is due to expire before the last event date on July 22nd 2019, and then select the type of Open Studio event you wish to hold. You can either hold a Solo Open Studio event, or you can use a venue to share your Open Studio event with other artists. A shared venue involves individual applications to the same venue. You can not have multiple member artists sharing a single application. If you have a group, eg a bone fide Art Society, there will have to be at least one named artist entered as an individual, as well as the Society entry. Typically a group leader/teacher. THIS WILL BE AT THE DISCRETION OF ISLE OF WIGHT ARTS and will be limited. Galleries can act as a venue and host individual members. At least two must be named and listed and paid for as members. That gallery will have a reduced rate for an advert in the yearbook. Non member Artists already in the gallery can exhibit as part of the gallery but must not be promoted as Members of Isle of Wight Arts. Membership of a group leader/gallery owner does not confer membership to others in the venue. The term “Open Studio event” in this context will include studios, venues, galleries and homes. New members: You firstly need to select the “Isle of Wight Arts Yearly Membership Option”. Then select your Open Studios events options below. You’ll then be asked to complete a short registration form as part of your Isle of Wight Arts membership. You’ll then be directed through to the event application form. You don’t have to complete the event application form right away, you can log in to your members area at any time before the 17th March and click on “My Applications”. The Open Studios event is across the Island over 11 days. but you do not have to open for 11 days. The choice is yours. You can select dates for one location, but also have an additional location on different dates. It might be preferable that one of these events is held in your locality, where you are known, but not compulsory. The standard opening times are 10am-5pm. Some variations are allowed but we need to make it as easy as possible for visitors. If you wish to exhibit in two different locations, you must fill an entry form for each, and pay for each. You can not exhibit as an Open Studios participant in two places at the same time, as you must be with your event to meet the public. What is a Solo Open Studio? A Solo Open Studio is for any artist taking part and holding their Open Studio on their own. This can be at your home, studio, in your garden or any location of your choosing. What is a Shared Open Studios? A Shared Open Studio is for two or more artists sharing a venue. We ask you to let us know if you’re going to be sharing a venue so we can publicise you next to each other in the Yearbook to let visitors know you’re at the same location. Each artist wil have a personal entry in the Yearbook. There is no provision for more than one artist sharing an entry or entry fee. The form needs to be completed by 3rd MARCH 2019. You can come back to “My Applications” any time before this date to complete the form. You can also save your progress within the form as you go, so you don’t have to complete it all at once. What publicity do artists receive if they’re taking part in Open Studios? The main publicity is through the Yearbook which is published in May/June. 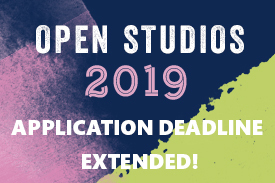 Each artist taking part in July Open Studios receives an enhanced listing, including an image, contact information, a description of their work and access details for their studio. We also provide a map reference for your location and add that to your areas Art Trail Map so visitors can create their own Art Trail and easily find you. We provide each artist with Yearbooks to distribute themselves along with A3 and A4 posters. Artists must be responsible for their local publicity. For new members they will be supplied with the Open Studios red bunting to hang up outside your event location to help guide visitors to your door. Isle of Wight Arts will also organise advertising in local and regional press and magazines and arrange for PVC banners to be positioned around the Island. Artists must also take responsibility for publicising their own studios locally and putting up signage to help direct visitors. Artists are encouraged to make contact with other artists taking part near to each other so they can plan local additional advertising. Isle of Wight Arts can supply the contact details of artists taking part so you can make contact with one another. All participants are expected to help to distribute the Yearbooks and assist in publicising the event locally, online and on social media networks. The more artists publicise the event in their area the better the footfall for the event as a whole. Yes. You still need to select the "Yearly Membership" option, but you can then select the "Listing in Year Book" option. This gives you a short listing at the back of the Yearbook where you can advertise 1 x image of your work, your name, a short description of your work and contact details. Listing in the Yearbook gives you the right to apply for the Christmas event if held, although not the July event. I just want to feature on the Isle of Wight Arts website and don't want to take part in the events. Simply select the "Yearly Membership" option and you can enjoy all the same benefits as all the other members. You can change yur mind! What are the benefits of being a member of Isle of Wight Arts? The opportunity to take part in any events organised by Isle of Wight Arts. Isle of Wight Arts is an ever evolving organisation, created specifically for the benefit of Isle of Wight artists. Isle of Wight Arts Ltd (info@isleofwightarts.com).